Today Officially is the start of my Marathon training! I have 111 days until the BMO Vancouver Marathon and 139 until the Scotiabank Calgary Marathon. I may be crazy scheduling two marathons in one month but I guess we will see how it all goes. The whole marathon thing is new to me so I have a great team of people helping me prepare, I even got a personal trainer to help. I have a really great group of people from Life and Balance Wellness Center including my Natural path, Physiotherapist and Massage Therapist keeping me strong and injury free over the process. I have an amazing dietitian that assisted me with meal plans and overall diet. I also have Tessa my trainer meeting with me once a month to keep me on track along with putting together my training plan. Now its all about the act of keeping up with it all! I figured I would share my training plan (as of now) for those of you who need some guidance in your training schedule. My running schedule is pretty straight forward and similar to my half marathon schedule with some extra miles of course. I am also training six people for a 10 k race in March through the Running Room so I am basing a lot of my runs off them. If you are in Calgary and want to join us on a run we would love to have you! We run starting at the West Hills Running Room Mondays and Wednesdays at 6:30pm and Sundays at 8:30am! I am running four days a week. Keep in mind this may change a tad once Tessa does my overall fitness test tonight. Mondays I will be doing a Tempo run, this run will be focused on building speed. I will incorporate fartleks into this run as well! Starting with 3 miles tonight! Wednesdays I will be doing Hills! Focusing on a good warm up and building that leg strength! Starting with 4X 400 meter (ish) hills this week! Thursday I will be doing an easy run as a part of my weight workout. Starting with 4 miles this week! Sunday will be my long run day. This run will be focused on a comfortable pace and banking some miles! This week I am going to start with 8 miles! My cross training will be on Tuesdays! I am going to rotate between swimming, barre, yoga and spin this evening! This week I am meeting with my trainer Tessa and she is going to do a fitness level test on me to ensure my training plan fits exactly what I need. To be honest I am a tad nervous about this one. 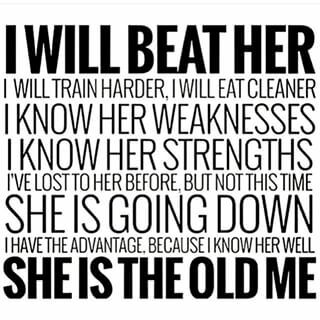 I like to think I am in amazing physical health but getting pushed to your limit even for the highly competitive person I am is a tad intimidating! Once I get this health test done I will post my official training schedule as well. 2016 is going to be a great year I can already feel it and I am going to use all the things I learned about myself last year to exceed my goals this year! 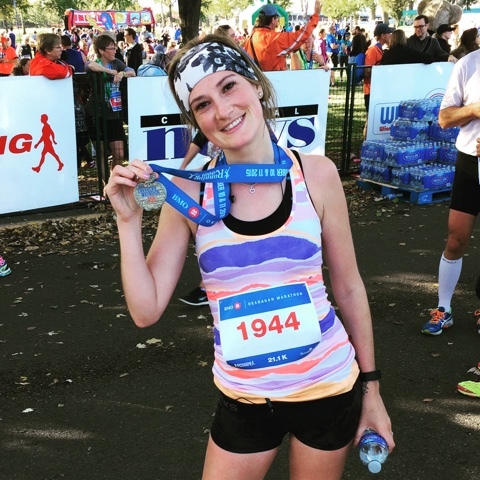 For these marathons my goal is to qualify for Boston… I would really like to get down to a 3:25 minute Marathon! I hope I can do it! But will keep you all updated along the way! And any running tips along the way would be greatly appreciated! I also would like to remind all you runners and bikers to use the app Charity Miles! This app adds an extra perk to your run! When you run with Charity Miles you donate money to the charity of your choice(out of their list). I love this app because not only do I feel like I am doing something great for myself every time I run but now I get to help a cause that means something to me. I encourage you all to get this app and use it. Its really amazing! Overall I am so excited about what 2016 has to bring! Wish me luck in my first week! Marathon Training here I come! Now for a great quote coming to you from my amazing mother to start off your week! Be kind, be patient, be smart but most of all be wise!